Just shy of the #1 trend spotlight, Group Training and HIIT training return to the list of top trends. 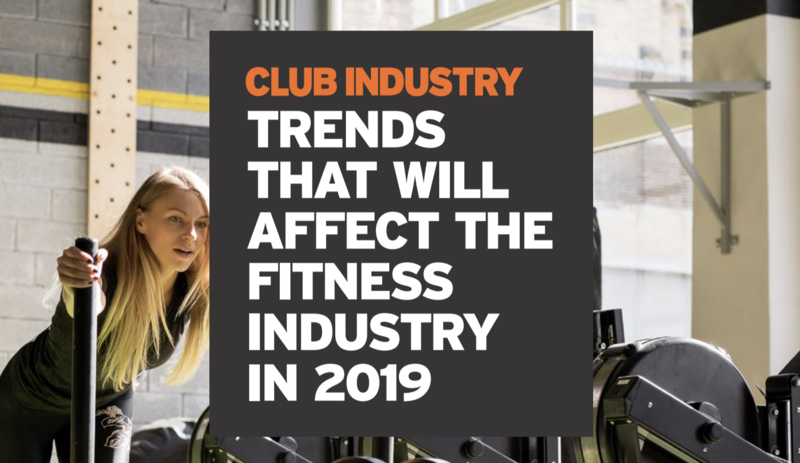 While both Group and HIIT training has increased in popularity for years, the trend suggests success for large clubs to integrate boutique offerings to serve an array of member markets. Another top trend, #4, is fitness programs geared toward active seniors who have more discretionary income and are living longer. That said, 2019 is projected to be the year that Millennials overtake Boomers with their population expanding to 73 million while Boomers’ numbers decline to 72 million. Sure, these age groups have plenty of differences, but both value quality experiences, authentic interactions, and community engagement. Regardless of age demographic, the best member is a retained member. Retention is cited as the biggest and most significant revenue driver for a club’s future earnings, and research shows a majority of club members leave because they believe the club doesn’t care about them. In fact, four times as many members leave a club for a competitor due to service-based issues, as opposed to price-related issues. Is it time to freshen up your member-engagement strategies? Team Active’s marketing and sales team is standing by ready to help. Finally, other notable trends that will continue in 2019 include an increase in wellness and recovery education and expanding partnerships with hospitals and corporations. While fitness facilities are providing wellness coaches who provide members a holistic recovery program with guidance for nutrition, hydration, and meditation for an overall training experience, many health insurance companies offer significant fitness club discounts knowing that investing in disease prevention is cheaper than funding care for diabetes, heart disease, and pharmaceuticals. The same idea applies to corporations that are providing fitness facilities on site and rewards for employees who participate since a healthy workforce is a more productive workforce. You may review the complete trend report HERE and let Team Active know what you think!